Simply divine, perfect little sleepy faces. oh that is priceless! 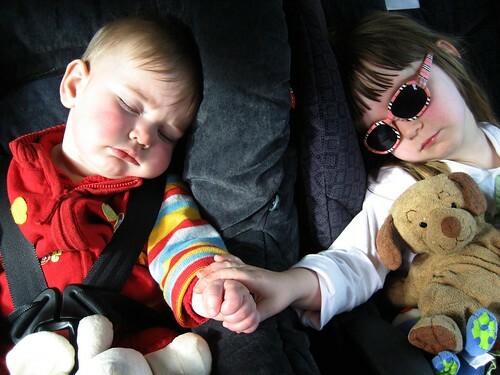 Too adorable that they are holding hands - but then add the teddy and the glasses and the bright stripy sleeve - great shot!